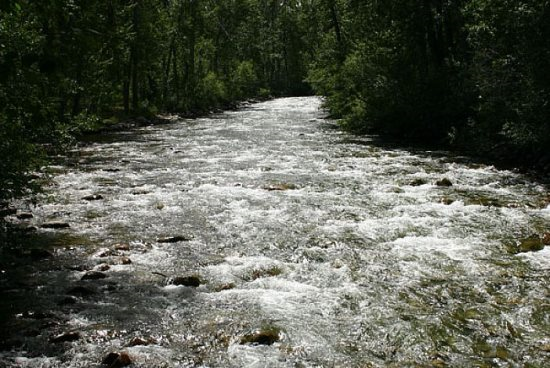 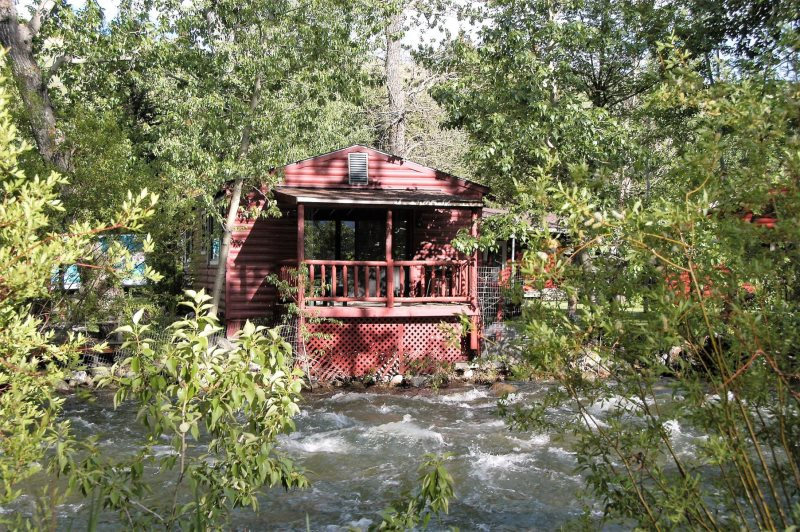 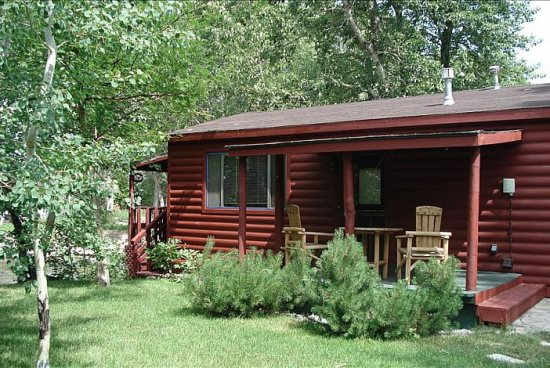 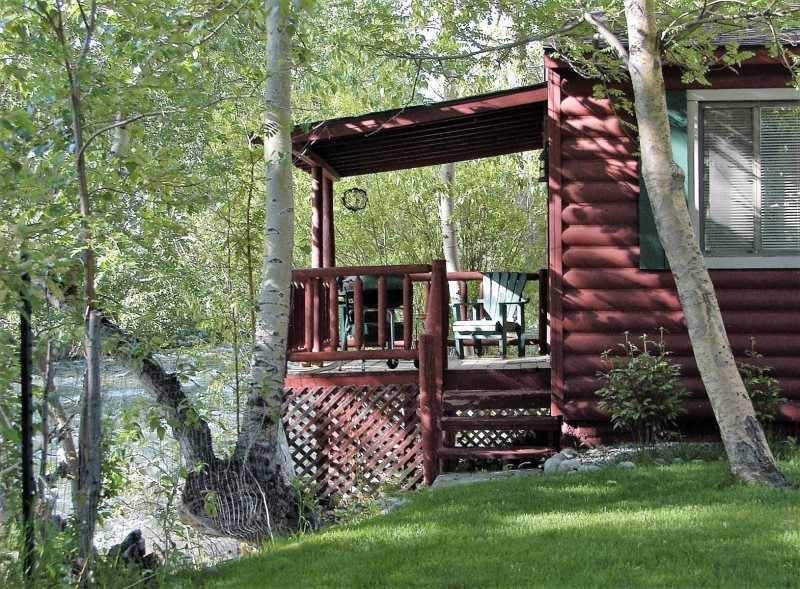 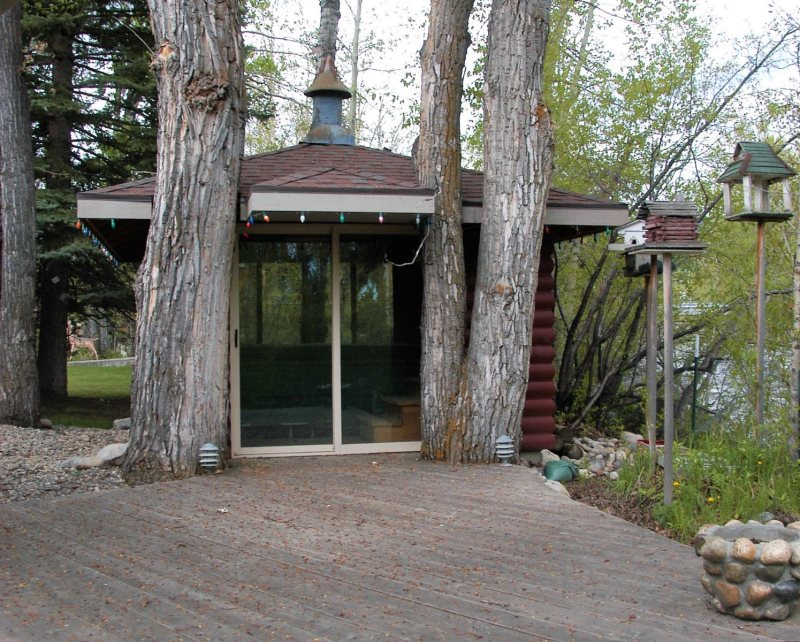 The Cowboy Cabin is surrounded by giant Cottonwood trees and was built directly on Rock Creek. 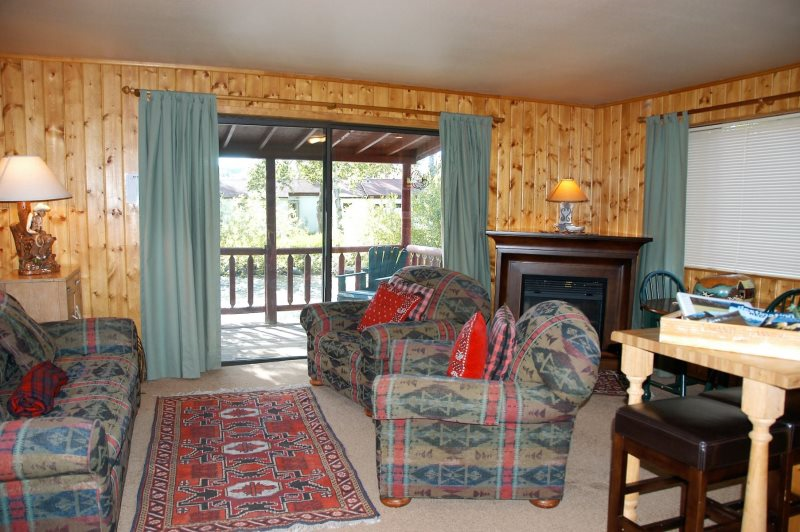 The Cabin is decorated to reflect the history of the area, with cowboy, Indian, and buffalo motif, tastefully put together with comfortable overstuffed chairs and sofa. 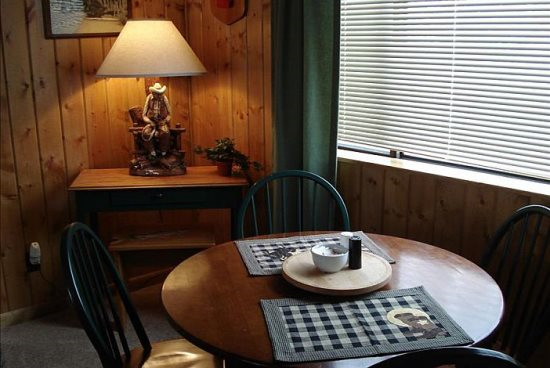 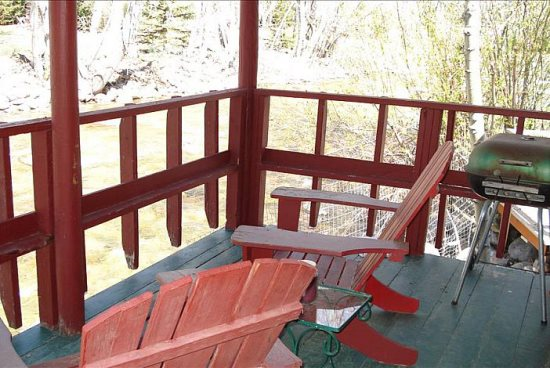 Original art and memorabilia fill the cabin for your enjoyment.The Cowboy Cabin sleeps two with one bedroom and bath. 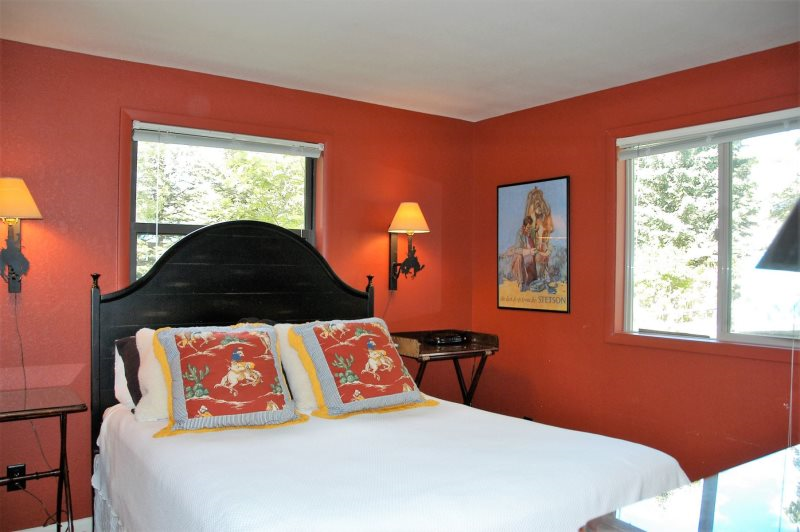 The bedroom has an antique Victorian bed and dresser with a soft down comforter and cozy flannel sheets. 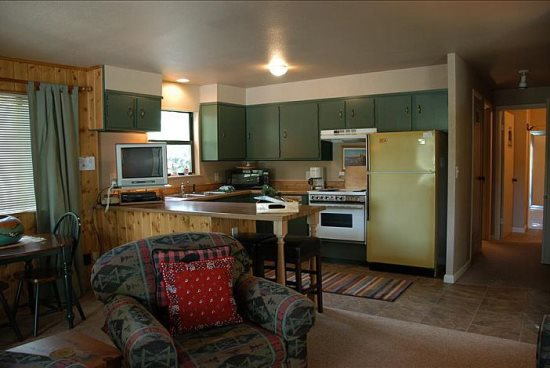 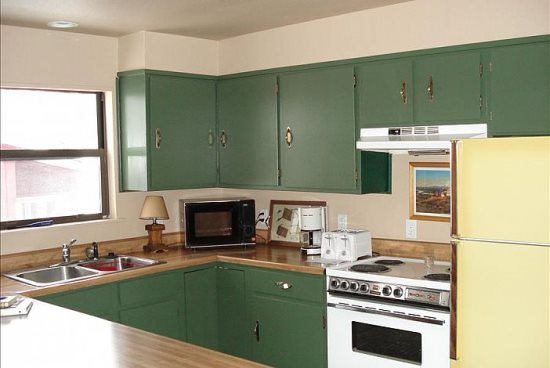 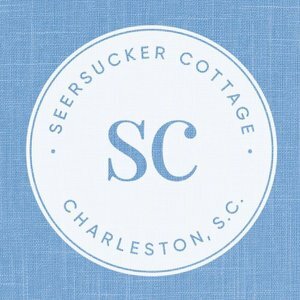 There is a fully furnished kitchen, washer and dryer, cable TV, and VCR.